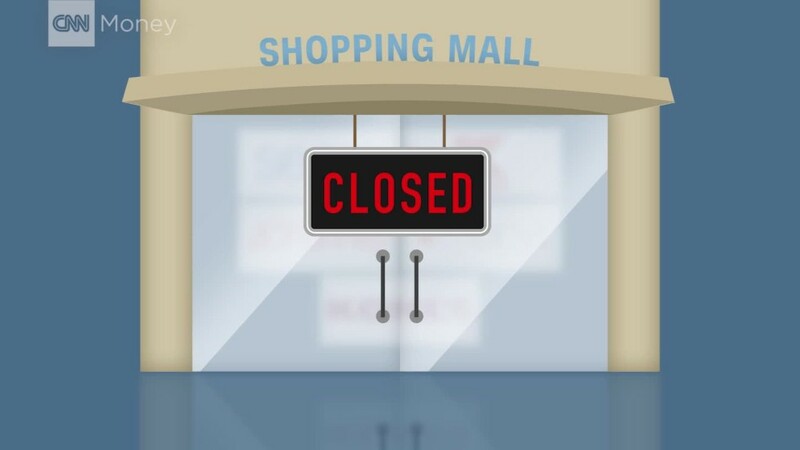 More than 300 retailers have filed for bankruptcy so far this year, according to data from BankruptcyData.com. That's up 31% from the same time last year. Most of those filings were for small companies -- the proverbial Mom & Pop store with a single location. But there are also plenty of household names on the list. Most of these stores are suffering from the same thing: A shift away from traditional storefronts to online shopping. Not all of these chains will eventually go out of business. Most of them fled for Chapter 11, which allows a company to keep operating while it restructures its debt. But the sector is already on course for a record number of store closings this year. Here's a list of some of the more prominent retail bankruptcies to date. Gymboree: The children's clothing retailer filed for bankruptcy on June 11, saying it may close 375 of its 1,300 stores under the Gymboree, Crazy 8 and Janie and Jack brands. rue21: The teen clothing retailer filed for bankruptcy on May 15, and said it has plans to close about one third of its 1,200 stores. Payless ShoeSource: The discount shoe retailer filed on April 4. It said it would move to close nearly 400 U.S. stores out of the 4,400 locations it has worldwide. Gordmans Stores: A century-old regional department store chain, Gordmans had 106 stores in 22 states in the Midwest and western U.S. It filed for bankruptcy on March 13 and is shuttering all of its stores. Gander Mountain: The hunting and outdoors retailer, which operated under the Gander Mountain and Overton names, filed for bankruptcy. The RV retailer Camping World bought some of the company's assets at auction in April and will keep some stores open. Its remaining inventory will be sold through liquidation sales. RadioShack: The iconic electronics retailer first filed for bankruptcy in 2015, and tried to stay in business through a deal with Sprint in which the wireless provider operated stores within the RadioShack stores. But in March the company that now owns RadioShack filed for bankruptcy once again, putting it on the path to close its remaining stores. hhgregg: The appliance, electronics and furniture retailer filed for bankruptcy in March and has closed all of its 132 stores. Wet Seal: The troubled teen clothing retailer, which made a previous trip through bankruptcy in 2015, filed for bankruptcy again in February. This time it went out of business, closing 171 stores and putting 1,750 employees out of work. The Limited: The once popular women's clothing chain filed for bankruptcy in January and closed all of its remaining stores.